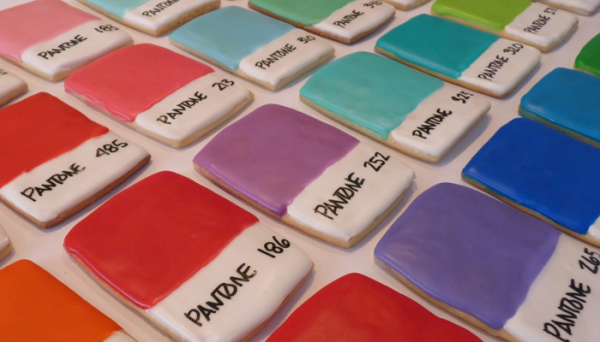 Pantone Chip Cookies « Gluttoner: You gonna eat that? 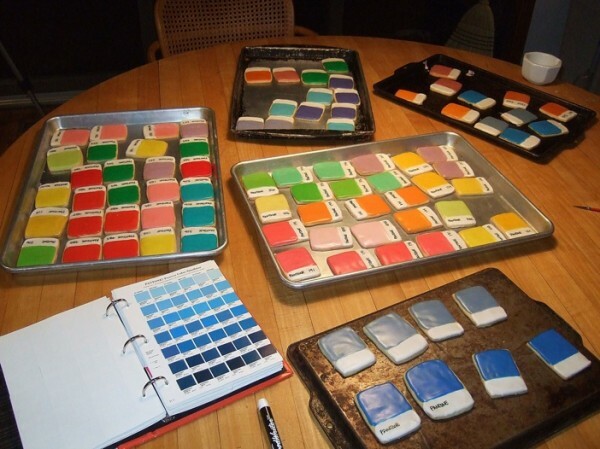 Kim Creative Star made these colorful Pantone Chip Cookies. If you’ve ever shopped for paint, you’re quite familiar with the Pantone paint color palettes. Kim used food coloring to the color the icing to the various shades and then labeled them with their matching color using a food dye pen after they were done baking. Easy to make, she just rolled out dough into a rectangle and cut the chips to size. She used a sugar cookie recipe. Just save Gluttoner a cerulean blue one please.